Mahatma buddha was born on 563 bc at lumbini in kapilvastu. The name of his father was shuddhodhan who was a shakya king. His mother mayadevi died when gautam buddha was only 7 days old. Gautmi prajapati took care of buddha ever since he was a small kid. The early name of gautam buddha was siddharth, he was very sincere kid. Gautam buddha was married to yashodhara, he had a son with her named rahul. At the age of 29 buddha left his home in search of truth and wisdom. After doing penance for 6 year under a peepal tree he became enlightened. In bodhgaya, the tree under which he got enlightened is known as bodhi vriksh. 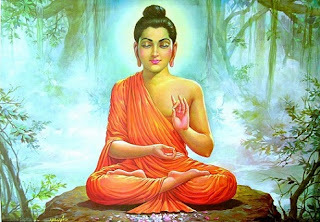 He established buddha religion which is followed in many countries. 483 ac, gautam buddha died at the age of 80 near pavapuri. After his death, his body was divided in eight parts. All of those parts of his body were placed separatly in different stoopas.